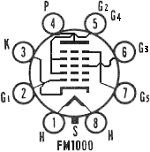 Description Locked oscillator Philco - Sylvania for FM-Demodulation. 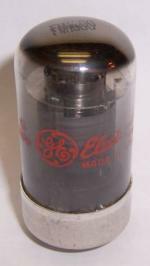 Literature 70 Years of Radiotubes and V.
The FM1000 tube has a 8 pin loctal (B8B) base. The pin assignment has been added to the description.